Pinstar was a company that Gary Stern started after the (original) Stern pinball went out of business in 1985, and before the start of Dataeast in 1987. 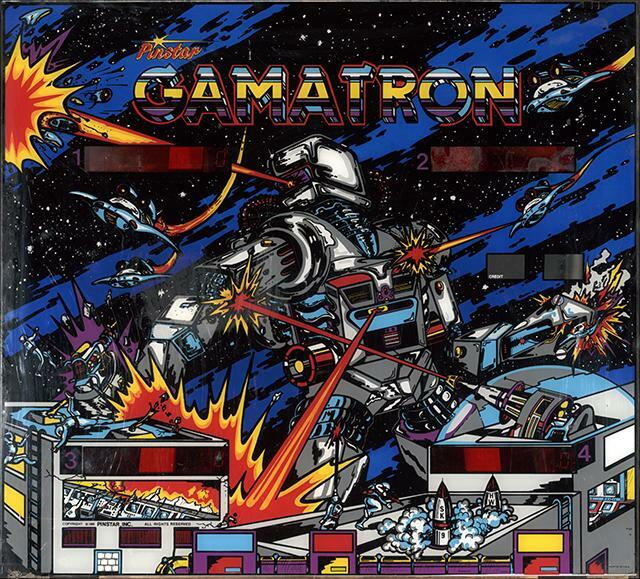 Their one and only game was Gamatron, essentially a narrow body version of Stern Flight 2000. 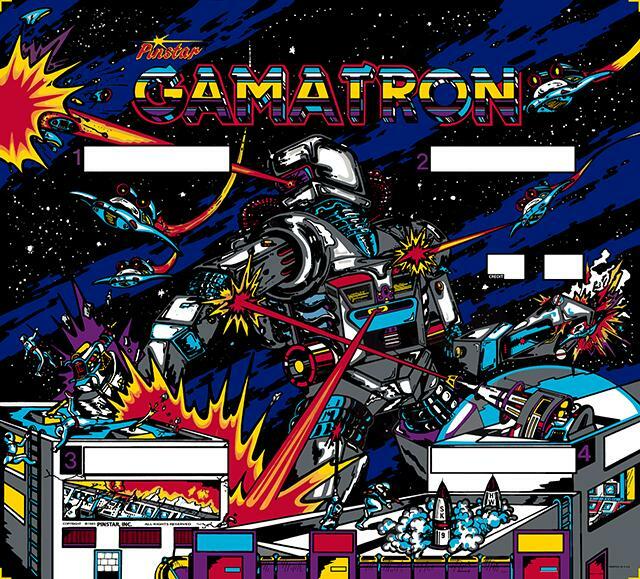 The game was sold by Gary Stern and Steve Kirk (Pinstar) as a kit – you took an old Bally or Stern game and converted it to Gamatron. The kit included a new backglass, but it was on plexiglass. The artwork was cool, but the glass itself was low quality. So when a PinStar Gamatron glass came into the shop for restoration, we were happy to do it. Putting it on glass (instead of plastic), and making the graphics more crisp and bright was the end result. Check out the before and after pictures below.